Everybody aims at having a set of thirty-two pearly whites. But unfortunately, most of us are not happy with the appearance of our teeth, especially when it comes to their color. Yellowing of teeth or yellow teeth is a widespread dental problem with many causes. But we can also get rid of yellow teeth very quickly. We now know a few tricks to get rid of yellow teeth. We can go for professional or at home teeth whitening. We can also go for veneers. But the best way to get rid of yellow teeth is taking dietary precautions and maintaining good oral hygiene. There are a few myths related to teeth yellowing as well. So let’s break the myths and see what causes yellow teeth and how to get rid of them. The following are a few myths related to yellow teeth. So let’s dive into the details and decode the myths with appropriate facts. 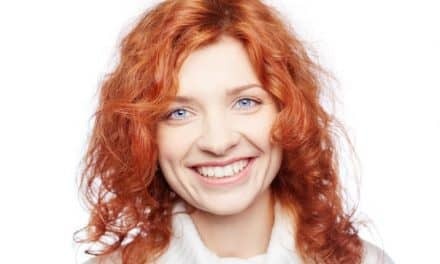 Many of us have a widespread misconception that our teeth are supposed to be naturally white. The fact is, teeth have a thin layer of translucent outer enamel under which there is yellow colored dentine. Hence, the enamel being translucent, we see a yellow tinge on teeth because of dentine. 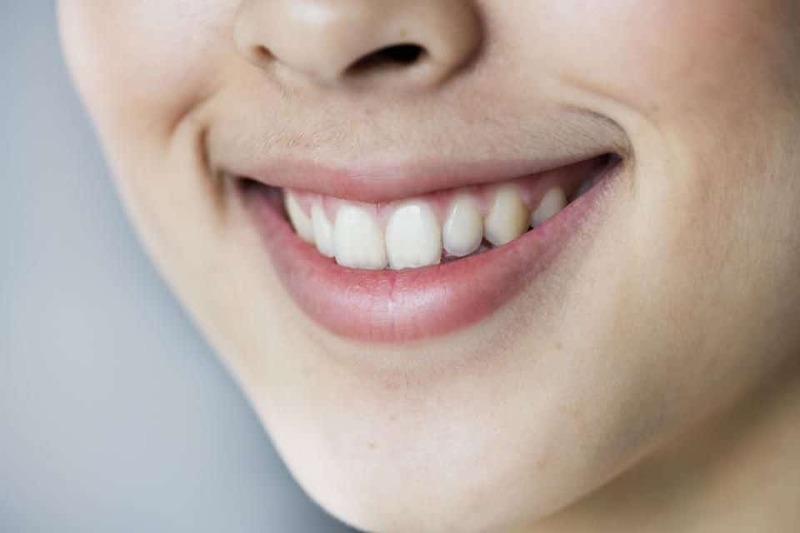 This yellow tinged teeth appearance is healthy, and we shouldn’t look at it as yellowing of teeth. Although mild yellow teeth are healthy but severely yellow stained teeth are bad. Yellowing can be either due to poor oral hygiene or food habits. To know if it is a normal yellow tinge or not, visit your dentist. The orthodontic treatments cause plaque accumulation due to inaccessibility of certain teeth surfaces for cleaning. But it is a necessary treatment and dentists clean your teeth after removal of braces. Hence it is a myth that braces cause yellow teeth. Not maintaining good oral hygiene after removal of braces can cause yellow teeth. Now that we know, how much yellow is too much yellow for our teeth. Let’s get into a detailed overview of the causes of teeth yellowing. If our parents had a predilection for inborn yellow teeth without dental anomalies, then we might also be susceptible to yellowing of teeth. Reddish brown, reddish yellow, gray and reddish gray are the four natural shades of teeth which run in families. The depth of color varies across a spectrum from light to dark. The food that we chew and the beverages that we consume play a major role in the appearance of our teeth. Beverages like tea, coffee, and red wine tend to stain our teeth when we consume these frequently. Food substances like berries, tomato, vinegar, curry, and sauce can stain our teeth to a great extent. Any other pigmented food can also stain our teeth. Smoking or using any form of tobacco can worsen your gum health to a great extent. Also, another ill effect of smoking is staining on the teeth. Cigarettes are known to cause brownish-yellow stains on the teeth. Plaque accumulation and tartar formation give an ugly yellow tooth discoloration. When we don’t brush frequently enough, plaque starts accumulating on our teeth. After a few days, this plaque which was initially colorless calcifies to form yellow tartar. Hence, bad oral hygiene like not brushing or flossing leads to yellow teeth. Cancer therapy causes yellow teeth. We can say that most chemotherapeutic drugs cause yellowing of teeth. Some drugs are given to us for treatment of asthma or high blood pressure also cause teeth yellowing. Research states that if we take antibiotics like tetracycline when expecting a baby, the baby might be born with yellow teeth. These stains are called tetracycline stains and are permanent. With age, our enamel starts wearing off and more, and more of dentine starts forming. There is a distinct yellow pigmentation on the teeth of older adults for the same reason. If we have an ugly fall or accident, leading to a fractured tooth, it is highly likely that we see yellowing of that tooth. The damage to a tooth’s interior leads to discoloration. The color change may indicate bleeding that needs professional attention. Due to aggressive wear and tear of teeth, as due to grinding or overzealous brushing, our teeth wear off. Once the outer enamel starts depleting, more and more of the inner dentine becomes visible. Hence, we see a yellow tinge on worn off or chipped teeth. Teeth grinding habit leads to teeth wear. Enamel wear leads to exposure of dentine. Hence we see the yellow teeth. Artificial crowns or veneers can be placed on top of yellow teeth to hide them. It is an expensive but efficient way to get rid off yellow teeth. It is an irreversible treatment and lasts for at least a decade, provided we take necessary precautions. Avoiding stain-causing beverages and food is the best way to increase the longevity of your veneers. Also maintaining good oral hygiene for veneers is essential since they are artificial crowns. Teeth whitening aids are very commonly used these days. We can either do it at home by ourselves or reach out to a professional for the same. Over the counter teeth whitening strips, teeth whitening pens and Essix retainers with whitening gels are readily available. These are easy to use and efficient when it comes to bleaching away yellow pigments off our teeth. Brushing twice daily, flossing and using an antimicrobial mouthwash are all a part of maintaining good oral hygiene. Tooth brushing is the most important method to keep yellow teeth away. Good oral hygiene practices reduce plaque and tartar accumulation and keep our teeth and gums healthy. Substance abuse includes over-consumption of alcohol, especially red wine and also smoking tobacco. These habits are the most prevalent causes of yellow teeth. A control over substance use prevents substance abuse which in turn reduces teeth yellowing. Certain food substances like berries, tomatoes, vinegar, and beverages like tea and coffee, badly stain our teeth. Staying away from pigmented food is essential if we aspire to have a spotless smile. Some habit breaking devices such as mouth guards can prevent teeth grinding. A tooth grinding habit leads to teeth wear and yellowing of teeth. Therefore, once we break this habit, we reduce the incidence of yellow teeth. There are multiple causes of teeth yellowing. Knowing all the reasons and their respective solutions may help us to get rid of this minor but annoying teeth problem. If we tend to be forgetful and can’t keep this long list of instructions in the back of our heads, we can do one essential thing. Brush and floss twice daily, this not only keeps our gums healthy but also maintains pristine teeth appearance. We should visit our dentist once every three months for general dental evaluation. If needed, we can also get tooth scaling done. Yellow teeth are ugly to look at, but with some minor dietary changes and oral hygiene, we can curb this problem. PreviousTemporary Filling – What is It and How Do You Maintain It? 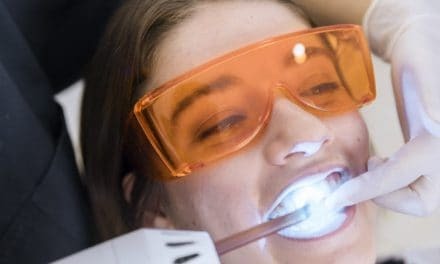 NextHow Often Should You Get Your Teeth Cleaned?